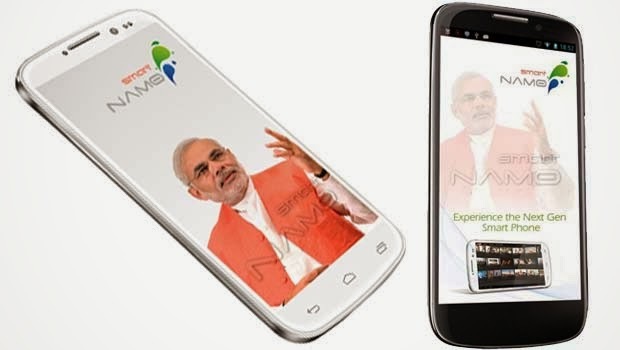 A Gujarat-based group has launched two Narendra Modi-themed smartphones in India, named SmartNamo Saffron One and SmartNamo Saffron Two. The two smartphones are now available for pre-order at e-commerce website Snapdeal for an initial booking amount of Rs 999. The 16 and 32GB variants of SmartNamo Saffron One have been priced at Rs 18,000 and Rs 23,000, respectively. SmartNamo Saffron Two will cost buyers Rs 24,000. Both the phones will be available for delivery in the second week of October, according to the website. Both devices are powered by Android 4.2 and have 1.5GHz quad-core processor, 2GB RAM, 13MP rear camera, 5MP front camera, 3,150mAh battery and dual-sim functionality. SmartNamo Saffron One has a 5-inch IPS screen with 1920x1080p resolution and 441ppi pixel density. Available in two storage options, this device can be purchased in black or white colours. Its connectivity suite consists of features like 2G, 3G, Wi-Fi, Bluetooth and microUSB. Saffron Two has a 6.5-inch screen, making it one of the biggest smartphones in the world. Its IPS display also has a 1920x1080p resolution and 338ppi pixel density. Other key features of the device are 32GB internal storage, microSD support up to 64GB, 2G, 3G, Wi-Fi, Bluetooth and microUSB. The company is offering an extra battery, a leather case, as well as another dual-sim feature phone worth Rs 1,111 free with this handset. Both the phones will come preloaded with wallpapers, videos as well as apps related to Modi. 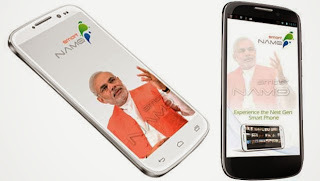 According to the official website of the smartphone maker, Namo is an acronym for Narendra Modi as well as Next-generation Android Mobile Odyssey. Modi is popularly referred to as NaMo on social networking websites. The Smart Namo group is backed by Gujarati businessmen who have mobile businesses in China. Ammeet Desai, the spokesperson for Smart Namo was quoted by The Wall Street Journal saying that they got the idea for this phone from China itself, where several products like MP3 players and smartphones are branded with their leaders' name.